I fell in love with the idea of word banners back in February when I saw this Valentine DIY paper banner from Craftiness Is Not An Option. But that is a lot of work for a paper banner that will not hold up well to being stored. But if you were to make it out of felt, you could tuck it away for next year. And if you use this tutorial from Twinkle and Twine, you may never have to put it away. 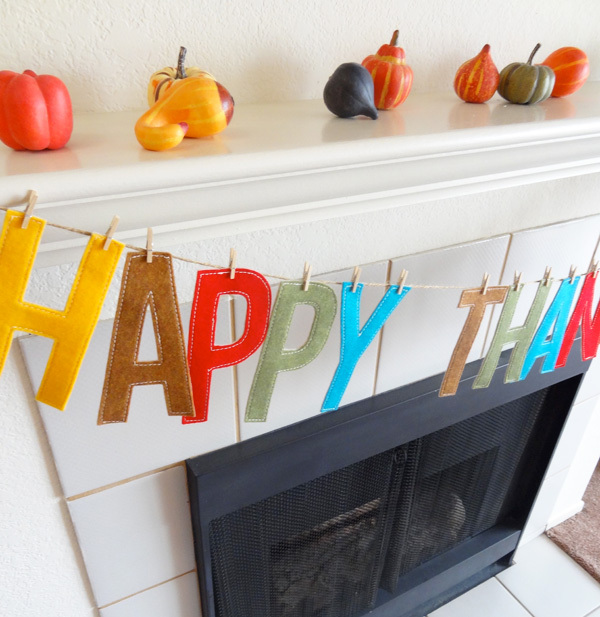 This felt letter garland can be rearranged to spell just about anything, so you can use it for holidays, birthdays, and everyday. 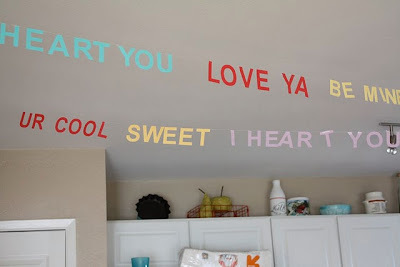 You can see the felt letter garland tutorial over at Twinkle and Twine.